Author Percival Constantine returns with another tale of Luther Cross—the only man clever enough to con Hell itself. 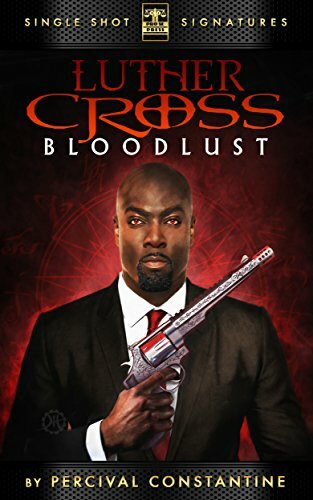 In the third installment of Constantine's Pro Se Single Shot Signature Series, Cross has to draw the line between passion and hunger in “Bloodlust”. NEW IMPRINT FEATURING ADVENTURES OF REAL LIFE PERFORMER DEBUTS! TALES FROM THE FLIP-SIDE: THE ADVENTURES OF BIG DADDY COOL AND THE BOMBSHELL KITTENS NOW AVAILABLE FROM PRO SE PRODUCTIONS!